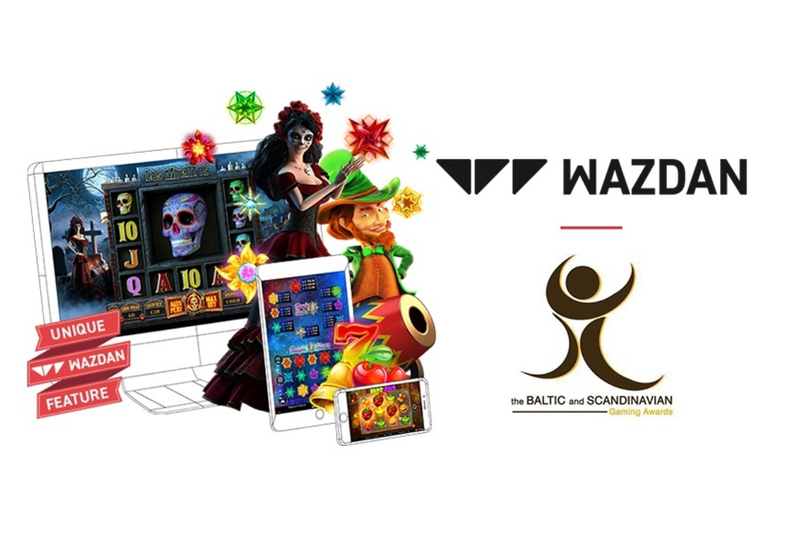 Wazdan proudly announces that they have been shortlisted in three different categories for the upcoming Baltic and Scandinavian Gaming Awards (BSG Awards) 2019, which recognises the best in the gaming sector across 21 different categories. After a 3 month nomination period and 31 days of an online voting battle, the shortlist for the BSG Awards have been determined, with Wazdan being confirmed in shortlists of three major categories, including Best online casino innovator in the Baltics 2019, Best online casino provider in the Nordics 2019 and Best online casino innovator in the Nordics 2019. 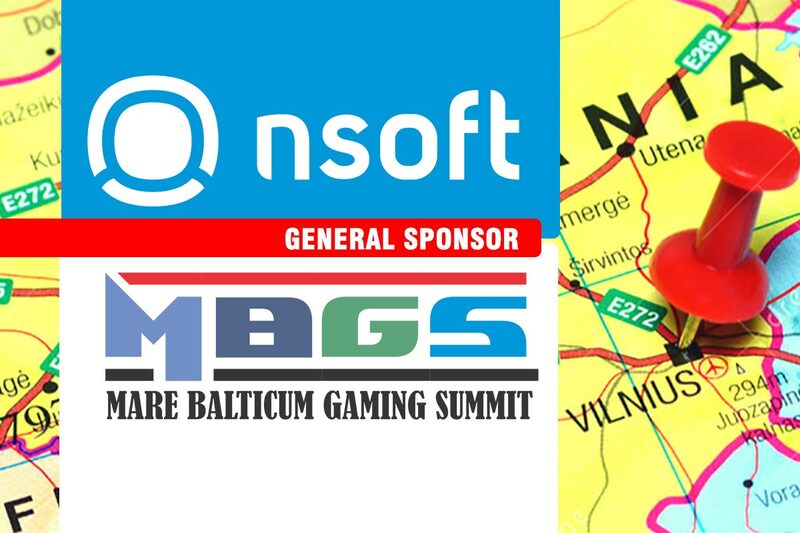 The BSG Awards 2019 will be held on the 9th of May in Vilnius, Lithuania during the second edition of MARE BALTICUM Gaming Summit, to recognise and reward the hard work of gaming software suppliers, operators and service providers who are active in the Baltic and Scandinavian region. In the past year, the Wazdan flame has been growing ever brighter as the company has secured a number of awards. Notable wins include the prestigious ‘Online Casino Innovator Award 2018’ at the Central and Eastern Europe Gaming Conference (CEEGC) held in Budapest, the ‘Hot Product Award’ at G2E Asia, as well as ‘Start-up of the Year’ at Malta’s iGaming Excellence Awards 2018. The company was also shortlisted for ‘Best Gaming Innovation’ at the SBC Awards 2018, ‘Innovation in RNG casino software’ at EGR B2B Awards 2018, and ‘Games Vendor’ at Malta Gaming Awards 2018. For more than a decade, Wazdan has been offering unique, tech-leading slots, table games and video poker games. To date, they boast an extensive portfolio of more than 110 HTML5 games. Favourite Wazdan game titles include Great Book of Magic Deluxe, Magic Stars 3, Magic Target Deluxe, Valhalla, Los Muertos™, and 9 Lions, as well as exciting new games, including Juicy Reels, Space Gem™, Magic Stars 5, and a host more to come. Wazdan is a popular game producer, developing innovative casino games that deliver an original, fun and truly omni-channel player experience. Offering an extensive game library of over 110 HLML5 slots, table games and video poker games, Wazdan is gaining popularity in the iGaming market thanks to the great quality of their games, interesting themes and engaging gameplay. Wazdan’s game portfolio consists of such popular titles as Magic Stars 3, Great Book of Magic Deluxe, Magic Target Deluxe, Valhalla and Wild Guns as well as amazing new and upcoming slot games, including Los Muertos™, Juicy Reels and Larry the Leprechaun amongst others. Wazdan releases new, exciting titles on a regular basis and equips them with Unique Wazdan Features: innovative Volatility Levels™, exciting Unique Gamble Feature and mobile-friendly Energy Saving and Double Screen Modes, Ultra Lite Mode, Ultra Fast Mode, as well the brand new Big Screen Mode. Wazdan holds a number of European trademarks including a trademark for their world’s-first Volatility Level™. Their extensive portfolio of clients includes some of the top gaming operations in the industry. The company is headquartered in Malta and holds licenses issued by the UKGC, the MGA and complies with Curacao regulations. Furthermore, their games use the RNG certified by the NMi, which ensures reliable, fair and secure gameplay. Birgitte Sand (Director of the Danish Gambling Authority), Sissel Weitzhandler (Group Compliance Manager at Play’n GO) and Morten Ronde (CEO at Danish Online Gambling Association and Managing Partner at Nordic Gambling) to share their views from all angles about the Danish and Scandinavian gambling industry at the second edition of MARE BALTICUM Gaming Summit, also known as the Baltic and Scandinavian Gaming Summit and Awards. Increased consumer spending across sports betting and online casino helped to push gross gaming revenue in Denmark up 5.7% year-on-year to DKK9.74bn (€1.30bn) in 2018, according to official figures published by the Danish Gambling Authority (Spillemyndigheden). The 2018 total is up by DKK520m on DKK9.22bn reported in the previous year, as the Danish market was boosted by the 2018 Fifa World Cup, which took place from June 14 to July 15 last year. Meanwhile, a new code of conduct for gaming operators active in Denmark was published last month, with the aim of strengthening consumer protection and lowering the risk of gambling addiction in the country. Due to come into force on July 1, 2019, the code aims to set limits and offer tools that go beyond regulatory requirements to help protect consumers. Just recently, Denmark’s gambling regulator has warned its online gambling licensees to be upfront with customers regarding so-called ‘free’ bonus offers. The statement is reminding online licensees about the Danish Consumer Ombudsman’s February 2016 statement regarding the use of the word ‘free’ in marketing material related to bonus offers if said offer involved a turnover requirement. At MARE BALTICUM Gaming Summit, Birgitte Sand (Director of the Danish Gambling Authority), Sissel Weitzhandler (Group Compliance Manager at Play’n GO) and Morten Ronde (CEO at Danish Online Gambling Association and Managing Partner at Nordic Gambling) will take part in a special IMGL MASTERCLASS™ which is titled “It’s Hot in the Nordics: IMGL Mega-Panel”, giving you the opportunity to hear first-hand the updates from the Danish regulator. Birgitte Sand is Director of the Danish Gambling Authority. She took up her current position in 2008 after several years of work as a member of the Executive Board of the Copenhagen Tax Center. Birgitte Sand holds a master’s degree in Law from the University of Copenhagen; 1985. She started her career in the Danish court of Taxation and moved on to a wide range of different tasks and management positions in the Ministry of Taxation covering legal advice on corporate tax structures and tax on private companies and property, the central IT department and projects regarding leadership, innovation, strategy, change of organizational structures and the development of a nationwide IT salary system. She was for many years also a member of the Board covering the nationwide planning of tax compliance projects. 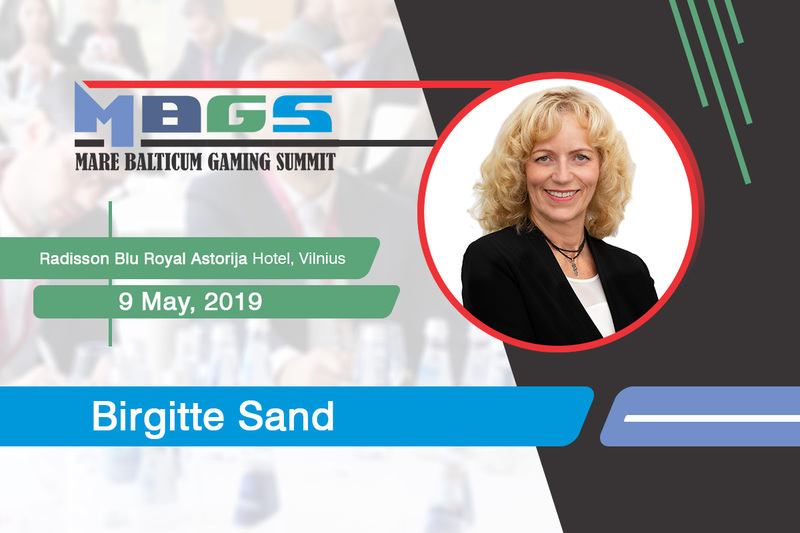 Since late 2011 Birgitte Sand has been a member of the International Association of Gaming Regulators (IAGR) Board of Trustees and chair of the IAGR Membership Subcommittee; she has served as Vice President of the association since October 2013 and served as IAGR President until October 2015. Birgitte Sand is a frequent speaker at international gambling conferences, where topics like the Danish model for gambling regulation and the Danish self-exclusion system are on the agenda. The international cooperation is very close to Birgitte Sand’s heart, as well as creating a strong, dialogue-based relationship between regulators and the industry. In 2017, Birgitte Sand received the award “European Regulator of the Year” from the International Masters of Gaming Law (IMGL). The prize is awarded to a person whose work with gambling regulation is particularly remarkable and Birgitte Sand received it for contributing to the high standard and regulation of the Danish gaming market and for her remarkable contributions to international regulatory work. Sissel Weitzhandler has since 2011 been in the gambling industry. She is a compliance specialist, managing multiple groups of companies that have successfully secured and maintained gaming licenses in multiple European and non-European jurisdictions. Sissel has vast experience managing technical, legal and regulatory compliance teams and an in-depth understanding in operator and supplier opportunities and challenges. She is dedicated to growing businesses by accessing new and emerging markets while promoting a culture of compliance across organizations with a focus on the remote gaming industry. Passionate about international law, business and relations, and holds a post-grad in War Studies from Kings College London and an undergraduate in International Relations from London’s University of Westminster. Sissel has been in various forums and specialist groups including EU Commission round-table workshops. Morten Ronde has 19 years of experience from working in the gambling industry. His background is in gambling regulation. He started his career in the Danish State Lottery and worked later 12 years as legal counsel for the Danish Gambling Authority. During his time as a regulator, he drafted the Danish online gambling reform that allowed for open licensing of betting and online casino operators in Denmark. The Danish gambling model is still considered one of the best gambling regimes in the world and has inspired many countries to adopt similar regulation. Morten received the ”European Regulator of the Year Award” in 2010 from the International Masters of Gaming Law. Since 2012 Morten has been working in the private sector of the gambling industry and has been advising clients in all sectors of the industry on regulatory affairs issues. Morten acts as CEO of the Danish Online Gambling Association (DOGA), a trade association for online gambling operators in Denmark and as Director of Education and Association Development of the International Masters of Gaming (IMGL), the pre-eminent global gambling law network. With 21 days to go until the second edition of MARE BALTICUM Gaming Summit, also known as the Baltic and Scandinavian Gaming Summit and Awards opens its doors, we are excited to announce our latest sponsor, ConnectPay. Financial services providers are an important part of the gambling industry and having a local company such as ConnectPay present at the conference in Vilnius gives an unparalleled opportunity for regional and global companies to learn more about the company. 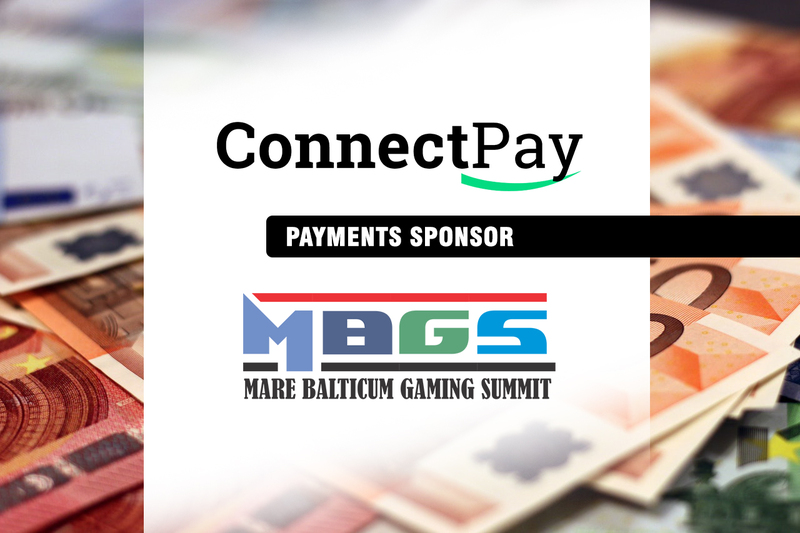 ConnectPay is welcomed as the official Payments Sponsor of MARE BALTICUM Gaming Summit 2019 and is a financial services provider for rapidly-growing online-focused businesses, which are long under-served by mainstream banks. The company operates as an alternative bank that delivers a connected and usability-focused customer experience to fast-paced online businesses. Leveraging our extensive know-how and network, ConnectPay shortens the distance of power between under-served digital businesses and mainstream banks. We do this by creating products with enhanced capabilities, continuously optimized to meet the needs of the modern digital consumer.